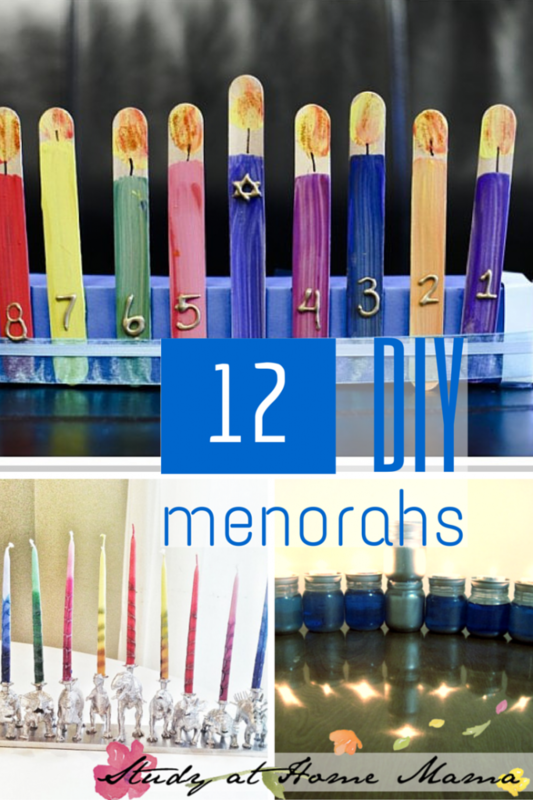 I am having way too much fun coming up with all these FREE printables for Hanukkah. 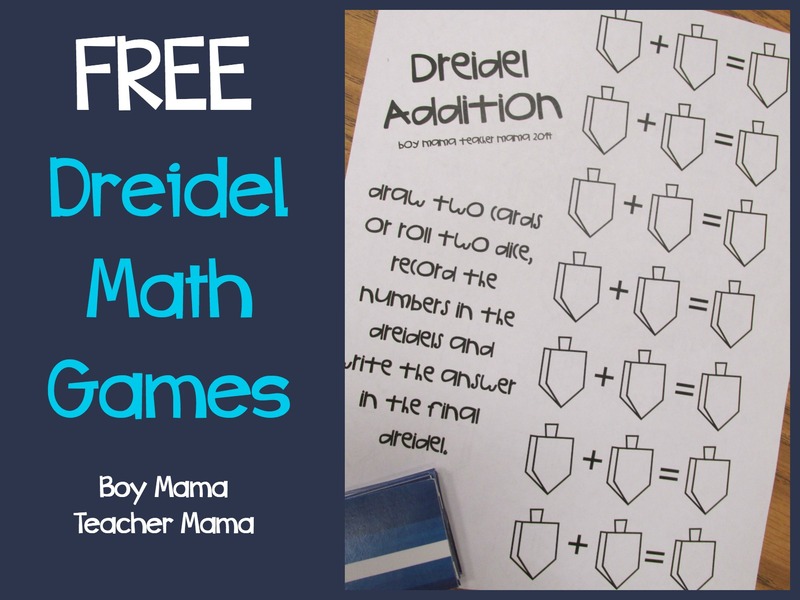 Last week we shared our FREE Card Games for Hanukkah and this week, we are sharing our FREE Printable Dreidel Math Game. These games are a simple yet fun way to practice addition, subtraction and/or multiplication. Simply click HERE to download the FREE templates. Print enough pages for your children or students. Print the pages double sided for more math fun! 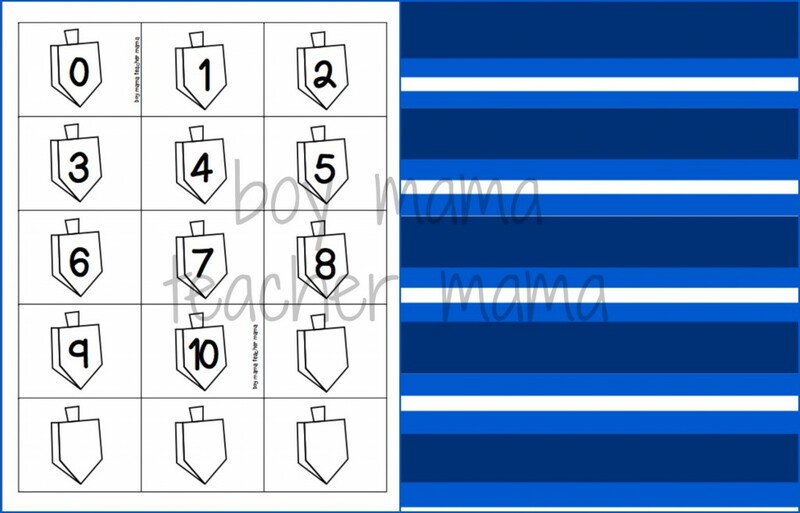 Print the playing cards (or use dice) with the numbers on one side and the blue stripes on the back side (optional). You may want to print more than one set of cards. Give each child a math paper, a pencil and a stack of number cards. Place the cards face down. Have the student pick two cards and write the numbers in the first two dreidels. 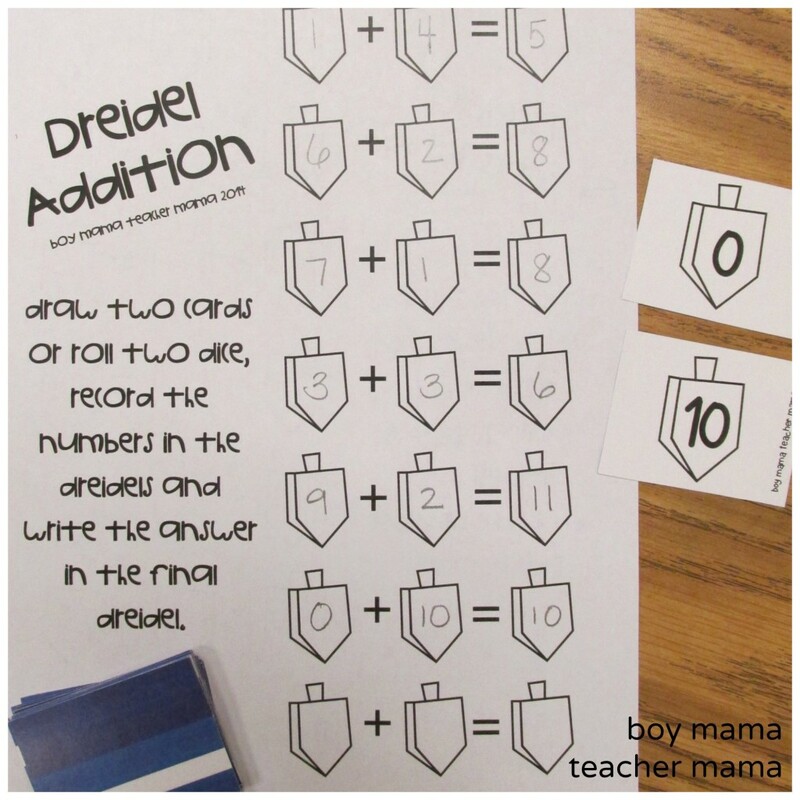 Then have the student solve the problem and write the answer in the final dreidel. 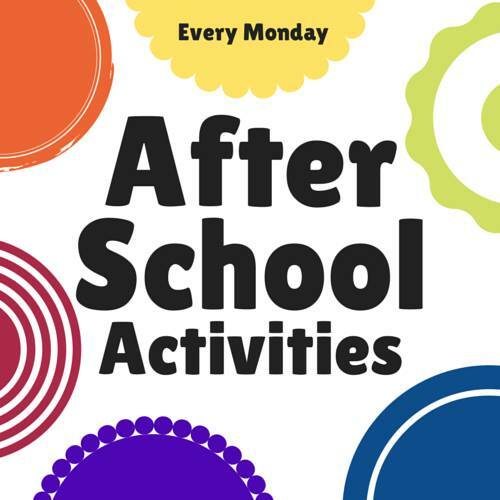 This game can be played independently or with a partner. So many fun math ideas today!